1. Observation and description of a phenomenon. 2. Formulation of a hypothesis that explains the phenomenon. 3. Use of the hypothesis to predict other phenomena. 4. Controlled experiments designed to test these predictions. 5. Validation of the ‘evidence’ offered by these results by independent researchers. 1. What counts as a phenomenon in the first place? 2. What account is given of the phenomenon itself? 3. In what ways can the phenomenon be accounted for? 1. What counts as a phenomenon is only that which we can observe outwardly – measurable fluid drops produced by the eyes. 2. Our account of what tears are as a phenomenon will make no distinction between weeping in grief and watering eyes. 3. We can account for tears only by suggesting mechanisms of either physiological or ‘psychosomatic’ causation. Heidegger goes on to emphasise that the fact that we speak of someone grieving less or more intensely, does not mean we are speaking of a measurable quantity of grief, but rather of its quality. We are referring to qualitative depth and intensity. As for the tears that can supposedly be accounted for as something ‘caused’ by grief, we are once again offending against the phenomenon as phenomenon. Tears as tears – as expressions of sadness or unhappiness, pain or grief are not a physical phenomenon that we first observe and then account for, scientifically or otherwise. We do not first see drops of water in a person’s eyes, then conclude, from the circumstance, that they are grieving and therefore understand them to be weeping in grief. The immediately observed phenomenon is not fluid drops in a person’s eyes but a person weeping – not an isolated physical perception but a perceptual whole or gestalt. It is only through abstraction from this gestalt – from the phenomenon as a phenomenon – that we arrive at an account of what ‘tears’ are that reduce them to something ‘psychical’ or ‘somatic’. An account of the phenomenon that then demands explanatory accounting for in terms of some ‘mechanism’ of psychosomatic ‘causation’. Heidegger goes on to question how things stand with the phenomenon of pain, comparing for example the pain of grief with bodily pain of some sort. Any account we might give in such terms of pain as a phenomenon, or any typology of pain phenomena we might construct – distinguishing somatic and emotional pain, real and imaginary pain etc. would both immediately foreclose the question of what the phenomenon itself – pain as such – essentially is. But the question of what pain itself essentially is and how it can be accounted for is not the object of any possible experiment. It is first and foremost a question of what it means to us to ‘be in pain’ i.e. the different ways (mental, emotional and physical) in which we are aware of being in pain, and the different ways in which we interpret, emotionalise and embody pain as a state of being. The modern scientific method rules out in advance as possible objects of scientific investigation all phenomena that cannot be reduced to observable and measurable sensory ‘phenomena’ such as ‘tear’ drops or electrical ‘pain’ signals. In doing so it rules out any genuinely empirical approach to phenomena as such – any exploration of the way we actually experience those phenomenon. But that is precisely the task of any genuinely empirical, genuinely phenomenological science. For all his attachment to the modern scientific world outlook, Freud would not even have dreamt of searching for the ‘causes’ of a particular dream event or phenomenon in some other event or phenomena occurring in the same dream – seeking to explain for example, how a dream monster was ‘caused’ by a dream thunderstorm. And yet we do something similar whenever we look for the causes of a given phenomenon or event in some other phenomena or event occurring within the same field or context of emergence. The basic ‘law’ of phenomenological science runs directly counter to the law of causality. It is the understanding that no phenomenon or event can be reduced to or explained by other phenomena occurring in the same field or context of emergence. Even in everyday, waking life, we do not isolate a phenomenon such as ‘wetness’, identify a ‘cause’ for it, and think to ourselves “the rain caused me to get wet”. Rather, what we immediately experience is not an isolated phenomenon such as wetness but a larger holistic event of “getting wet in the rain”, or “forgetting my umbrella and getting wet in the rain” or “waking up late, leaving the house in an anxious rush, forgetting my umbrella and getting wet in the rain on the way to an important meeting with my bank manager.” In doing so we are not positing an ‘initial’ cause of our wetness in a hypothetically unending temporal chain of causes and effects. On the contrary, we experience our wetness in a larger temporal context that includes not only significant past events (getting up late) but future ones – that anxiously anticipated meeting with the bank manager. Our immediate experience of the phenomenon of wetness is the immediate experience of an event that is essentially constituted by its own larger context of emergence. Heidegger’s basic phenomenological rule – that our “explanation” of a phenomenon can reach only so far as our “explication” of the phenomena to be explained – has a direct bearing on the principle of causal explanation. Our explication of a phenomenon is determined by the way we first of all isolate it within a field or context of appearance. Thus we can isolate the observed production of tear drops, regard them as a phenomenon and then erect the ‘scientific’ hypothesis that this is the causal result of a person’s emotional state. Alternatively, however, instead of reducing the observed phenomenon to a purely physical one occurring in the here and now, we can say that what we immediately observe as a phenomenon is not the production of tear drops but a person crying. Rather than attempting to identify the ‘causes’ of this crying we will then attempt to understand the crying within a larger context. Doing so does not merely allow us to better ‘explain’ some now already established phenomenon. It allows us to experience the phenomenon itself in a new way – not simply as “a person crying” but as this person crying in this particular situation and in those particular circumstances that surround it. We are now in a better position to understand what Heidegger means by the terms “explication” and “explanation”, and to suggest what meaning they hold, not just in the context of the physical sciences and their methodology but in the framework of phenomenological science and the phenomenological method. From a phenomenological perspective “explication” refers to the “reach” of our initial experience of a phenomenon as an event – the extent to which our experience of this event already embraces its own larger spatio-temporal context of occurrence. It makes a difference, for example, whether we reduce both our experience and our explication of an event to an isolated phenomenon such as ‘wetness’, or instead experience this phenomenon as part of a larger experiential event such as “getting wet in the rain”, or “forgetting my umbrella and getting wet in the rain”. “Explanation”, from a phenomenological perspective, does not mean seeking or finding ‘causes’, let alone arbitrarily posited ‘initial causes’ for an arbitrarily isolated phenomenon. It means giving expression to our experience of the phenomenon as part of a larger event constituted by its own field or context of occurrence. It must be emphasized that understanding phenomena contextually rather than causally is by no means the same as hypothesising the existence of multiple causes or causal ‘factors’. For though an event may involve multiple phenomena, separated in both time and space, what constitutes the event as an event is that these disparate phenomena form part of a larger pattern of meaning or significance. One phenomenon is not the cause of several others nor are these others multiple causes of the one. Instead, all the identifiable physical phenomena that make up the event are the common expression of a larger field of emergence – ‘emergence’ being the root meaning of the Greek ‘phusis’ from which the terms physics and physical are derived. Field-phenomenological science begins with the recognition that all phenomena arise as events (Ereignisse) within a larger field or context of emergence and in this way constitute a self-manifestation (Er-eignis) of that field. The aim of field-phenomenological research is to broaden any given ‘field’ of research in the most literal way possible – by expanding our understanding and very experience of phenomena to embrace the broader fields of emergence within which they manifest as field-events. It recognizes that whilst all physical phenomena form part of field-events, not all field-events take the form of observable physical phenomena. This does not mean, however, that such events are inaccessible to direct experience and can only be postulated theoretically or mathematically. For such ‘intangible’ or ‘non-physical’ events constitute the very fabric of our everyday subjective experience of the world. That is because ‘subjectivity’, from a field-phenomenological perspective, is the non-local or field dimension of experience as such – essentially irreducible to any locally experienced phenomena, any localised ‘subject’ or ‘object’. Field events are accessible to consciousness not as locally observed phenomena but as felt events – changes occurring in our own non-local field of awareness, and affecting our own felt body. The felt body itself has a field character whose volume and dimensions cannot be reduced to those of the physical body. Through it, however, we are linked with all those field-events that constitute the invisible fabric of the physical universe itself. It is meditative feeling cognition, grounded in the felt body that constitutes the foundation of phenomenological research – not physical observation or mathematical projection alone. The modern scientific method rests on the unfounded assumption that feeling cognition and felt events cannot be subject to processes of mutual inter-subjective confirmation and validation in the same way as peer-reviewed empirical studies or logico-mathematical deductions – even though both empirical observation and the intuitive logic of mathematical reasoning also rest ultimately on consensual ‘subjective’ validation. This is a method that has no place for the felt body and for feeling cognition – reducing feeling as such to individual ‘feelings’, seeing the latter only as the private property of localised atomic subjects, and identifying all ‘cognitive’ functions with the mind or brain alone. In this way, physical science fails to extend its own ‘field’ models of the physical universe to include an understanding of the field character of our own awareness of that universe, and of our intimately felt bodily connection to the very fields of emergence that are its source. The starting point of science or any mode of knowledge seeking is, as Heidegger emphasized, not the ‘facts’ of that science but the adoption by a human being – the scientist – of a specific stance or standpoint, attitude or bearing towards the world. The defining stance of modern science is one of treating the world as something which stands over and against (gegen) an ‘independent’ subject or observer, and which thereby becomes the bodily object (Gegen-stand) of the scientist’s own theoretical representations, experimentation and technical manipulations. Heidegger firmly rejected the view that phenomenology was ‘anti-scientific’. Rather he rejected the basic stance of modern science as one irreconcilable with the fundamental aims of science as science – that of searching for and discerning (scire) truth. In its place he suggested a different, more authentically scientific stance: not that of a detached subject standing over and against the world as object but the standpoint of resolutely standing in the truth of one’s own being-in-the-world – one’s own embodied relation to the world and one’s own direct bodily awareness of the sense or meaning of phenomena. 1. A code of discourse in which we tacitly assume a shared understanding of the meaning or sense of common words and utterances. 2. A code of conduct governing everyday worldly practices whereby their own commonly accepted sense or ‘rationale’ is also tacitly assumed. 3. A code of communication that sets boundaries on the legitimate doubt that can be cast on the commonly accepted senses of words and the commonly accepted sense or rationale of worldly practices. Together, these codes constitute a set of unspoken rules which assume certain agreed points of departure for any specific social action or interaction, practice or procedure. Departing from these rules or questioning these points of departure is, as Harold Garfinkel’s studies showed, guaranteed to arouse bewilderment or indignation. 1. 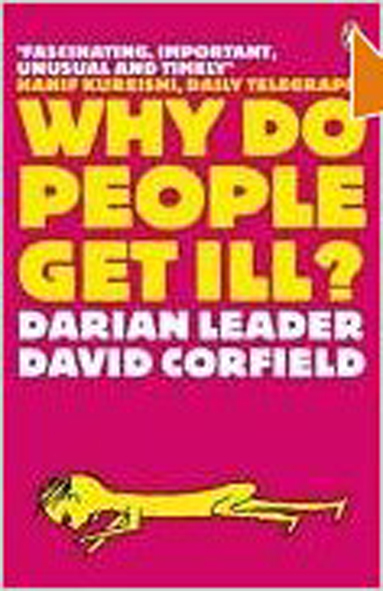 It is tacitly understood that we all know what ‘illness’ and ‘health’ are, that they are opposites, and that ‘illness’ is something ‘bad’ and ‘health’ something ‘good’. 2. It is tacitly understood that the patient arranges the consultation because he is suffering symptoms of a possible ‘illness’ which he wishes to have identified and which he is therefore prepared to be prescribed treatment for. 3. 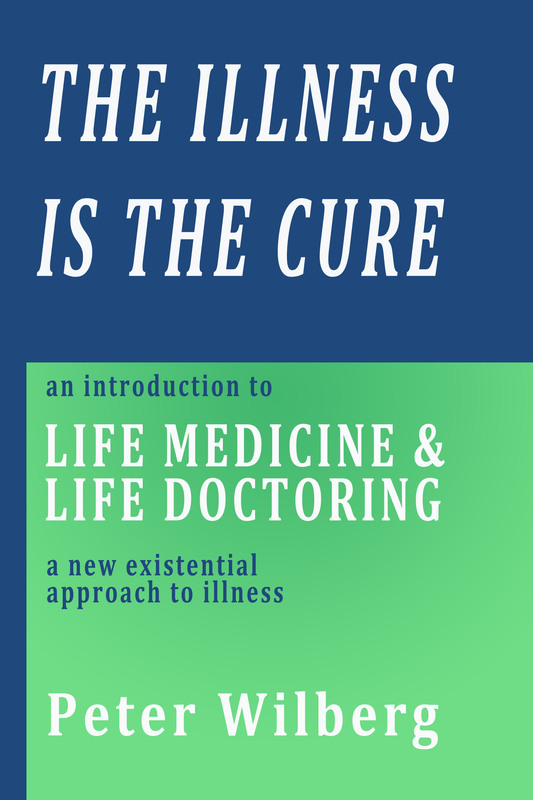 It is tacitly understood that the patient will describe their symptoms and that the medical practitioner will then seek to arrive at a medical diagnosis of an illness, and recommend a course of treatment aimed at a ‘cure’, and based on knowledge of the organic physical ‘cause’ of that illness. Should a patient reject any or all of these points of departure, or depart from any of the unspoken rules of interaction they give rise to, he or she will be regarded as disruptive or deviant. This often happens in the case of psychiatric patients who may seek help from a medical practitioner but who may doubt that they are ‘ill’, doubt that they are in need of ‘treatment’ or doubt that they’re suffering from symptoms with an organic cause. Scientific sense, in contrast to ‘common sense’, places, in principle, no boundaries on legitimate doubt or questionability. In practice however, the situation is quite different. For being itself a social practice, modern science is governed by its own codes of discourse, conduct and communication, and by the points of departure implied by these codes. What have a medical consultation or the nature of therapeutic dialogue to do with the defence of an authentic scientific methodology? Medicine and psychotherapy are areas where the modern scientific and everyday attitudes to sense-making meet. They are also areas in which an authentic scientific stance is compromised by a set of pre-established social practices which, being accepted as a part of everyday life, are neither socially nor scientifically questioned. The compromising of scientific methodology is particularly prevalent in professional practices such as medicine, and psychotherapy. Of chief concern to the ‘professional’ is the correct and effective application of a body of knowledge with which to make sense of and respond to the client’s emotional signals or bodily symptoms. Of considerably lesser concern is the patient’s or client’s own semiotic process – the way they make sense of and respond to their felt condition and its felt sense or meaning. The client is expected only to signify their condition in conventionalized language that can be ‘understood’ and ‘made sense of’ by the professional, and to do so in a time-constrained context governed by its own already established semiotic codes, points of departure and routinised or ritualized procedures. The emergence of the modern scientific method shook the foundations and departed from the once universally shared assumptions of the pre-modern religious world view previously dominant in the West. However, an authentic scientific attitude has now been sacrificed to the semiotic codes governing its own institutionalized practice and to the scientific method as this is currently understood – a method largely applied in the service of corporate profit or to sustain the legitimacy of professional bodies. The continuing development of phenomenological science in defence of an authentic scientific stance and an authentically scientific methodology will in turn shake the foundations of the modern scientific method, and revolutionise both the theoretical foundations and social practices stemming from that method. It will be grounded in the understanding of both human and natural phenomena as the expressions of fundamental semiotic processes – of semiosis. Not just linguistic signifiers but all phenomena have a semiotic or sign function. But signs do not exist in isolation. The sign function of a word has to do with its place within a larger pattern of linguistic signification. The sign function of a phenomenon has to do with its place within a larger pattern of significance. A table is not just an extra-linguistic object to which we attach the verbal signifier ‘table’. Even without naming it as such, the table already functions as a sign within a larger pattern of significance, being perceived as a place around which we can sit, a platform on which we can eat or write etc. The phenomenon is not merely ‘a table’ but, for example, the table that someone bought at a bargain price just after getting married or moving house. Similarly, a street is no mere neutral object of perception. What I see of it or do not see of it is determined by its place within a larger pattern of significance. What I see is not ‘a street’ but the street I cross to get into my car or walk down to the local shop. The semiotic dimension of phenomenology consists in understanding what a phenomenon is in terms of what it means to us – its place within a larger pattern of significance, actual or potential. What both modern science, pre-modern religious world views and ‘post-modernism’ share in common, however, is a search for an order or pattern of significance to events. Their common point of departure is the assumption of a pre-given order of things – whether divine, natural or purely linguistic or symbolic. In this respect they ignore the very essence of semiosis, which is the process of emergence (phusis) of actual patterns of significance from a field of potential patterns – the emergence of order from pre-order. Pre-order is not disorder or chaos, but consists of potential patterns of significance or signification that are not themselves manifest as actual patterns or phenomena. Indeed the very identification of any actual pattern of significance and its representation in a sign system – linguistic or mathematical patterns of signification – tend to foreclose our awareness of other potential patterns of significance and signification. In social and semiotic practices such as biomedicine, we see again the assumption of a pre-given order consisting of already established patterns of significance. 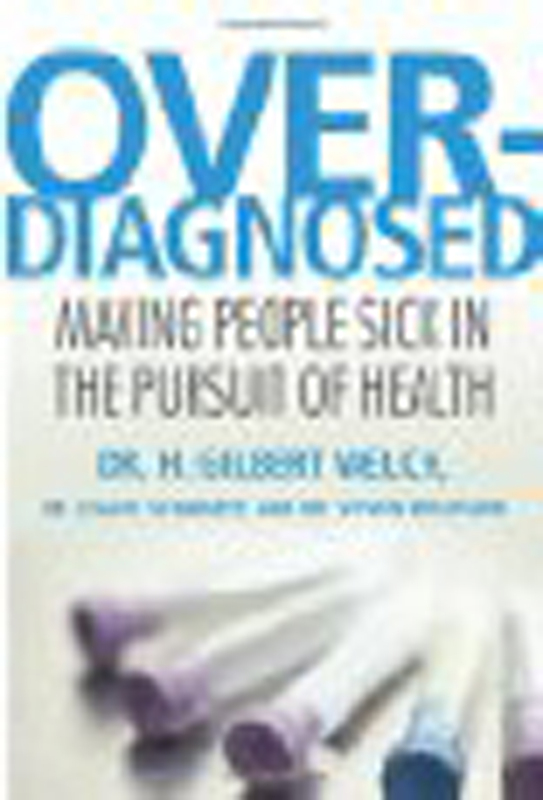 Thus a patient’s symptoms have meaning only as possible signs of a pre-given and already established disease pattern. Tests are conducted to either confirm or rule out the actuality of this possible disease pattern, without any regard to other potential patterns of significance unrecognized within the diagnostic framework of medical discourse. The search for order in science, religion and common sense is self-fulfilling. For any pattern of significance, once identified, limits our awareness of alternate potential patterns and shapes our experience in a way that actively selects out phenomena that do not fit into established patterns or provide signs of other patterns. What Garfinkel called the ‘documentary method’ is this semiotic process whereby events are interpreted in terms of an already established pattern of significance, and thus provide further ‘evidence’ of the reality of that pattern. That the perceived pattern of significance itself may be represented in the form of documents (for example medical histories or case notes) business reports and legal reports, academic or scientific papers etc) is itself important – for these do not so much record commercial, legal, medical or scientific ‘realities’ but constitute them as realities within a given field of social and semiotic practice.